Interested in trying something different as an instructor? Let Total Diving help you obtain your PADI Ice Diver Specialty Instructor certification. The PADI Ice Diver Specialty Instructor course is the ultimate adventure for instructors who are looking to train the next generation of adrenaline junkies. Do you remember what it felt like to experience the great visibility you had while under the ice for the first time? Now is a great time to share that experience with others. During your course, you will learn how to teach the proper theory needed for your students to successfully pass their PADI Ice Diver Course. 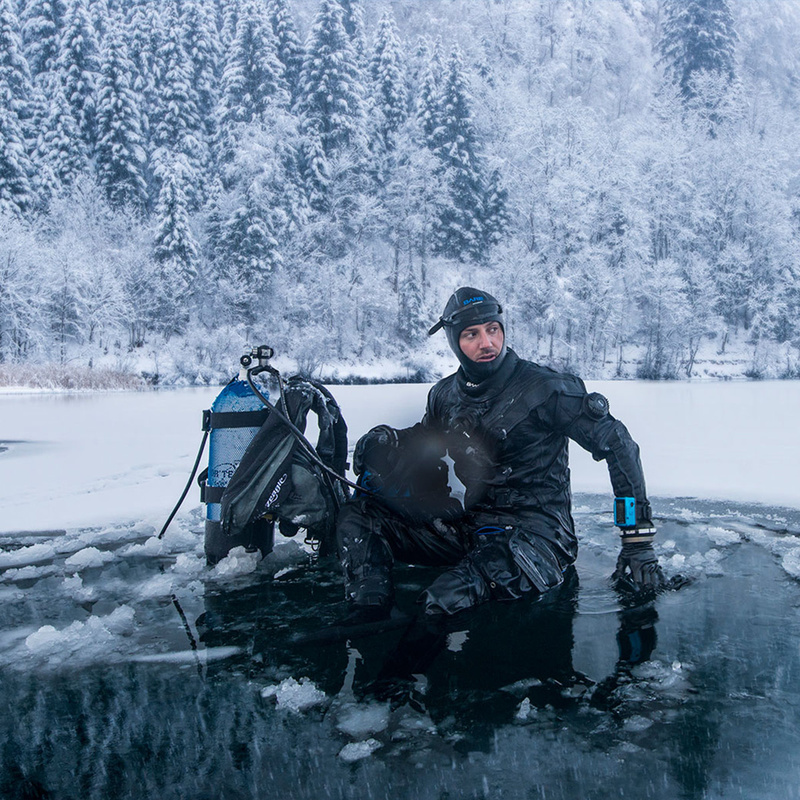 On top of this, you’ll be showing the divers how to properly prepare a site for ice diving, how to use a safety line, and better communication skills to make the ice diving experience as fun and safe as possible. Keeping the divers away from various hazards will be one of your top priorities. PADI Open Water Scuba Instructors are able to take this course. Some OWSI/IDC candidates may participate in this training, but can only apply for their certification after passing an IE. Instructors looking to take this course must have logged some ice dives, and a minimum of 10 dives must be completed as course exit requirement. Starting this course is easy with Total Diving. You’ll be under the ice guiding new students in no time! If you’re considering this course as part of your Master Scuba Diver Training requirements, we can help get you set up with a great price. Make an appointment to sit down with one of our Course Directors today.